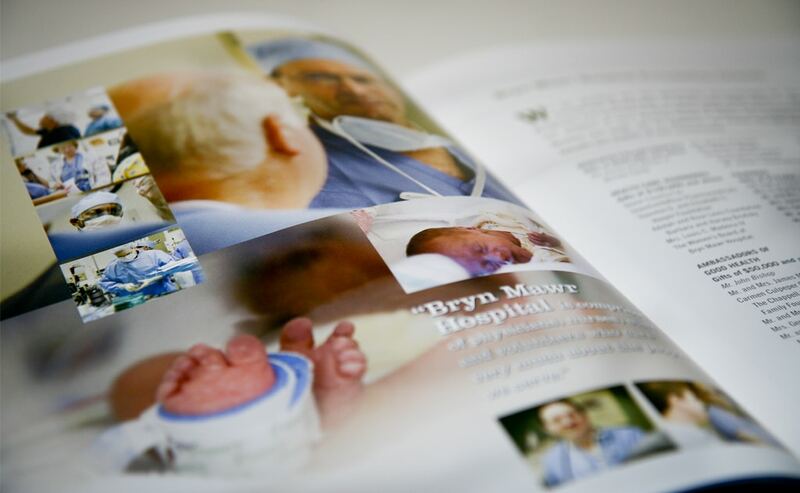 Bryn Mawr Hospital wanted a new direction for their yearly donor report. 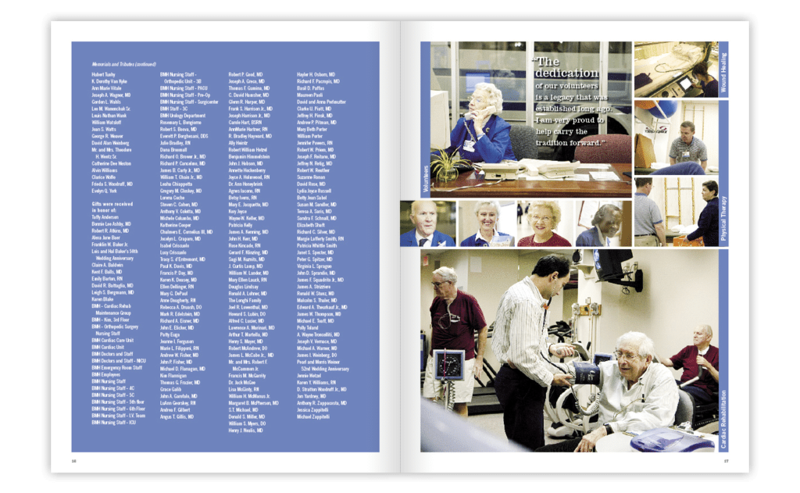 We worked with their development team on the concept “Hospital as Community,” which became the theme. We spent time in the Hospital to capture its unique character and tell their story in a casual, documentary style. 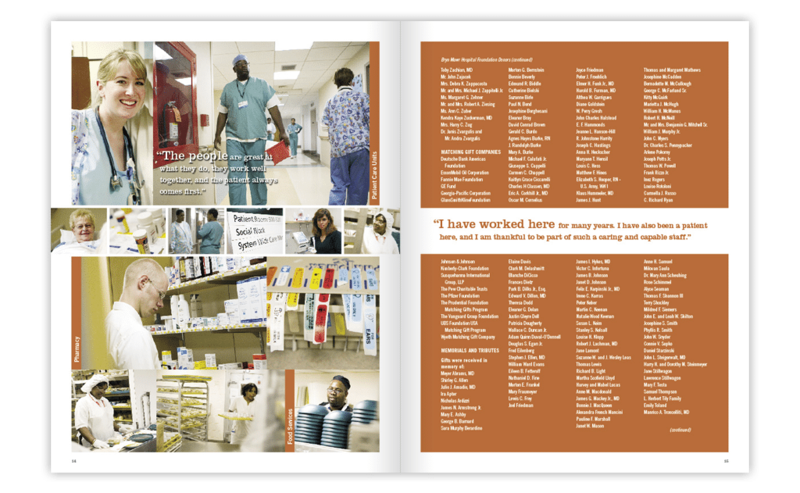 The design combines images from various departments and the result is a photo essay that tells the story of a hospital that works hard and really cares about its community. 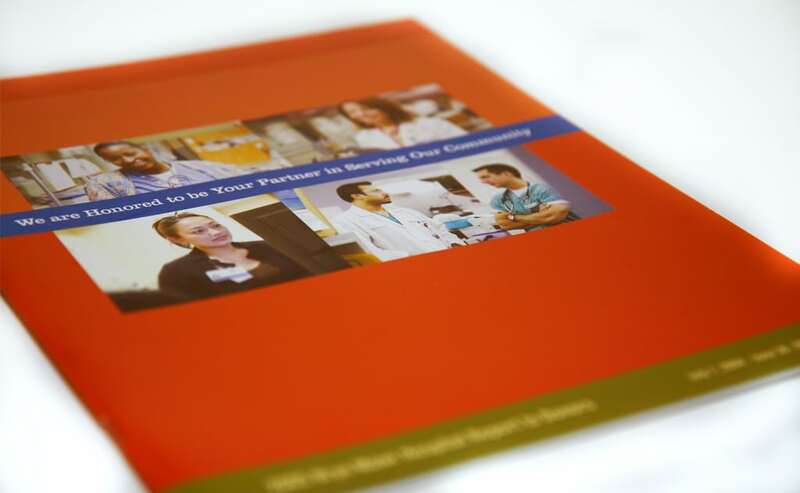 The direction we took with Bryn Mawr Hospital was taken notice of by other hospitals within the Main Line Health system, Lankenau Medical Center and Paoli, where we were also asked to create pieces that would capture their unique characteristics.